In 1917 one million soldiers, sailors, and Marines departed for France to fight in World War I from New York. The city was an important hub during the war as the recruiting and patriotic efforts continued. Following the Armistice in 1918, more memorials were erected to veterans than for any other event, even the Civil War. In the new book, World War I New York: A Guide to the City’s Enduring Ties to the Great War (Globe Pequot Press), author Kevin C. Fitzpatrick explores more than 100 locations in New York with tangible links to The Great War. The Baltimore Post-Examiner is honored to present the following excerpt from World War I New York which recalls the contribution and sacrifice of New York native Dr. Theodore Caldwell Janeway – the first Chairman of Medicine at Johns Hopkins University. World War I New York: A Guide to the City’s Enduring Ties to the Great War is available directly from the author and at Amazon. The centennial of the United States entry into World War I is a time to reflect and to remember those who died in the armed services. 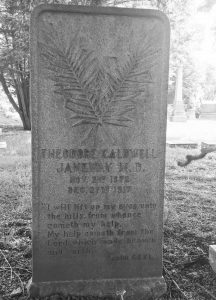 Major Theodore Caldwell Janeway never went to a battlefield, but he earned a Distinguished Service Medal for his work with the Surgeon General’s office. He was the first Johns Hopkins University chairman of medicine. His story is that he was an esteemed doctor and researcher who’s life was tragically cut short during the war. Janeway was born on November 2, 1872, in New York. It seemed predestined for him to follow his father into medicine. He graduated with an A.B. from Yale in 1892 and his medical degree from Columbia in 1895. Three years later he married Eleanor C. Alderson and they had five children. Dr. Janeway was a leading clinician and pathophysiologist in New York and earned a national reputation before he was thirty years old. His research into blood pressure measurement and hypertension was groundbreaking. In 1914, Johns Hopkins University lured him away from New York. Dr. Janeway was named Chairman of Medicine and became the university’s first full-time professor of medicine. 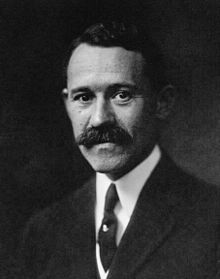 When the United States entered the war in April 1917, he accepted a commission and joined the Army hospital in Washington. He was appointed Assistant to the Surgeon General and Director of Research on Heart Disease. Dr. Janeway was working with patients during one of the greatest healthcare crises of the century: the influenza pandemic. This was a global disaster that killed 21.5 million worldwide, including 675,000 deaths in the United States—more than all the combat deaths of the twentieth century combined. The U.S. Navy said, “Victims suffered massive pneumonia and fatal pulmonary complications: They literally drowned in their own body fluids. Lungs filled with fluid and their skin became markedly discolored from the lack of oxygen.” The origin of the virus (also called Spanish Flu) is unknown. Simultaneously it spread across Asia, Europe, and North America in three waves. It’s said more soldiers died of influenza than from German artillery. Dr. Janeway was in Baltimore at the time of the pandemic. More than 3,000 Baltimoreans died before the end of October 1918. He was among the fatalities. Dr. Janeway succumbed to pneumococcal sepsis on December 27, 1917, in Baltimore. He was forty-five. His remains were returned to New York and interred in one of the most beautiful burial grounds in the nation, Woodlawn Cemetery, in the Bronx. There are scores of World War I veterans in the wooded acreage, from aviators to Doughboys. His final resting place is in the Elm Plot on Poplar Avenue. Note the crossed palms on his gravestone. This comes from Easter and Christ’s triumph over death; it can also be a spiritual victory and a call for eternal peace. Kevin C. Fitzpatrick has written and edited seven books with ties to New York history, including World War I New York: A Guide to the City’s Enduring Ties to the Great War (Globe Pequot) and The Algonquin Round Table New York: A Historical Guide (Lyons Press). Fitzpatrick served in the U.S. Marine Corps Reserve from 1984 to 1989 and moved to New York in 1991. He is a licensed sightseeing guide and has been leading walking tours since 1999. Fitzpatrick is a World War I reenactor and belongs to the WWI Centennial Committee for New York City. Born in Baltimore, he now resides in New York. Contact the author.